Condensate Removal Pumps for AC, HVAC, & Boilers. 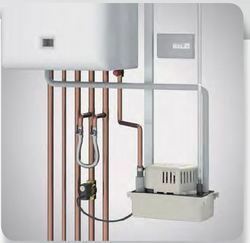 Max Flow Rate For Air Conditioners up to 20kW. 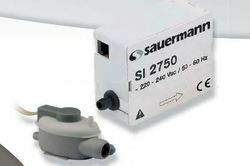 Max flow rate The high capacity Si-33 (30l/h) is suitable for air-conditioning units from 20 kW up to 30 kW. The piston pump inside the Si-33 is specifically designed for removing condensates from air conditioning systems, whatever the environment. 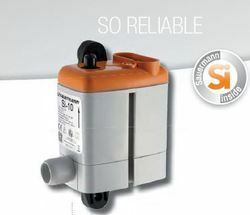 Reliable pump The high performance Si-10 is suitable for air-conditioning units up to 20 kW. The piston technology is specifically designed for removing condensates from air conditioning systems. The Si-10 is fully reliable, in any kind of environment. Its operating sound level will remain silent whatever the volume of condensates. FOR REPLACEMENT MARKET ONLY Subject to availability; Please contact your local Sales Manager. SI 1930 Membrane pumpVERY POWERFUL› Stainless steel tank› Ventilated motor› Can run dry› Built in safety switch- Membrane pump intended for lifting condensates charged from refrigerateddisplay cabinets, evaporators and cold store cabinets.- Four times more effi cient, it evacuates condensates from 4 cabinets and treatsthem 4 times faster than standard pumps. 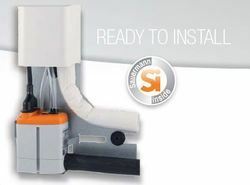 INSTALLATIONSlide easily under refrigerated display cabinets. Looking for Condensate Removal Pumps ?